Bolton Abbey is the Yorkshire estate of the Duke & Duchess of Devonshire. It covers approximately 30,000 acres in total. 14,000 acres are grouse moor with the River Wharfe running through the middle, creating two almost equal moorland areas east and west of the river. I was lucky enough to come here to work for the family in 2006. It’s a great family to work for; they’re really interested and they really care about the moor. 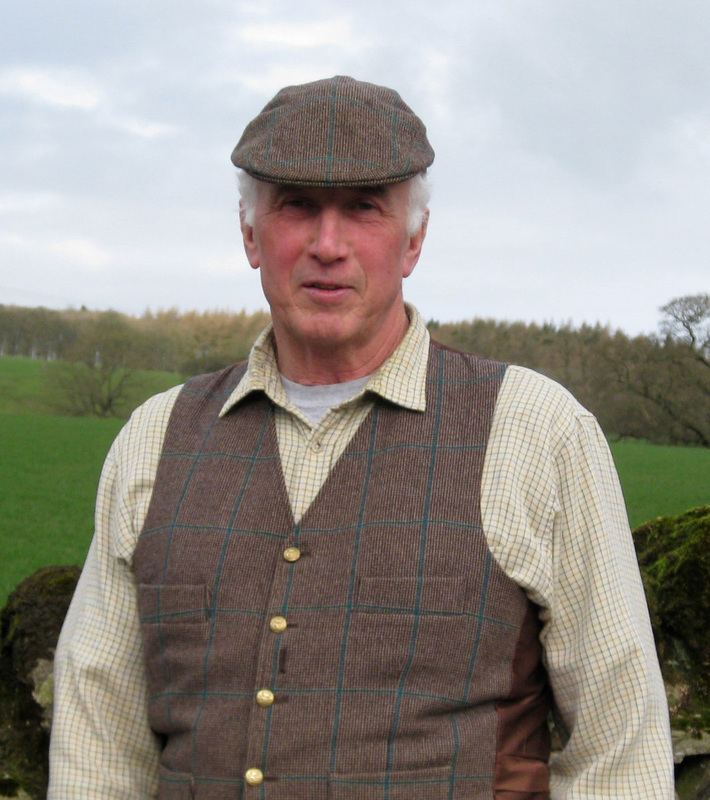 I’ve been in grousekeeping now for over 40 years – virtually all my working life. I actually come from Essex and the moorland here very much reminds me of the marshes – that wildness and that quiet. Moorland gamekeeping is about maintaining the habitat in a way that suits grouse, and making sure the moor is there for future generations. It’s about looking after it in a proper manner, without abusing it, or doing anything to damage it. When asked for my favourite view, I was tempted to say ‘wherever I happen to be looking any time I’m at work’; this is an outstandingly beautiful part of North Yorkshire. The view I have chosen is one from the lunch hut on Thorpe Fell, looking straight down the valley to Strid Wood and Beamsley Beacon on the horizon. 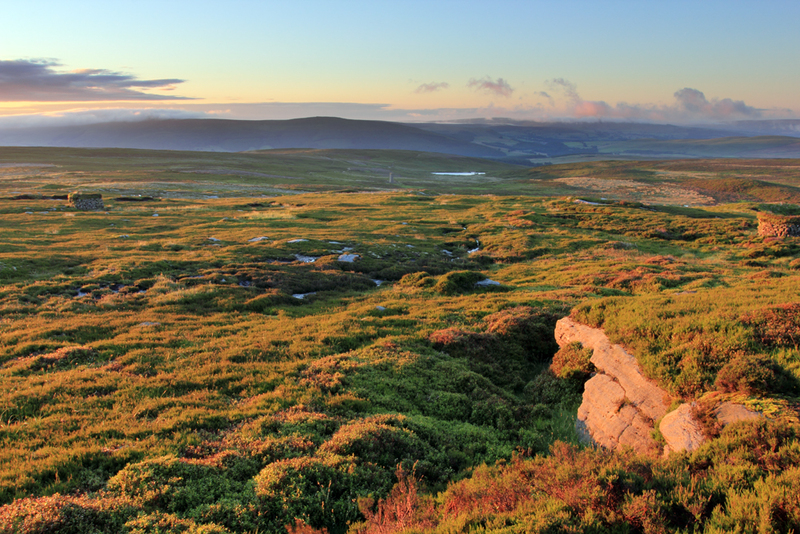 You can see the moor’s been worked for generations – that’s part of its interest. The chimney of the old Onion Hill colliery in the foreground is a monument to all those who worked there. Coal was sledged down to Thorpe village and then taken to Grassington to be used for smelting lead in, I think, the 1700s. When I was here in the early ‘70s, this area was partly covered by hundreds of acres of bracken. Its condition now is testament to the determination of the family and staff and the scale of the conservation project they’ve undertaken. You can just see black parts here, where we’ve burnt strips of heather. The patterns created by heather burning are so important for the health of the moor and its wildlife. What we’re trying to produce is a mosaic of everything from freshly burnt to long heather, so that the grouse have got nesting cover, shelter, and food in various shapes and forms. We burn it because when it gets old it loses nutritional value – it gets leggy and not very palatable. You also want short heather, and bare ground for the chicks to get out on to dry. One advantage of this is that all the waders like the short heather and the burns too, so you get the curlews and golden plovers coming up to nest, which adds to the diversity of the wildlife. Ideally you want lots of small burns. Grouse are territorial. If they can see each other they’ll fight and defend their territory, so the more broken up the ground is the more territories you can have, and that way we can maximize stock levels. When you’re up here, you get the wider panoramic view that takes in Simon’s Seat on the left all the way round to Halton Heights on the right. It’s a view I never tire of looking at. It’s a good place just to stand and enjoy, whether on a spring day with the grouse and curlew calling, in the summer with the heavy scent and colour of the heather, or a still clear cold autumn day. I enjoy being up there in all weathers, just thinking ‘this is where I belong’.